Pakistan ’s relations with Afghanistan are in a downward spiral. First came the war of words between President Hamid Karzai and General Pervez Musharraf over who was to blame for the resurgence of the Taliban along the mountainous Afghan-Pakistan border. Then, the Afghan parliament condemned General Musharraf’s use of undiplomatic language about Mr. Karzai. Now, the head of Afghanistan ’s Senate, Hazrat Sibghatullah Mujaddedi has accused General Musharraf and Inter-Services Intelligence (ISI) of instigating a suicide assassination attempt on Mujaddedi’s life. In between, Afghanistan demanded that Pakistan stop naming its missiles after Afghan heroes and Pakistan claimed that it was planning to build a fence along their complex 1,125 mile (1,810 kilometers) border. General Musharraf and most Pakistani officials blame India for the deterioration in Islamabad ’s ties with Kabul . But Mr. Karzai, Mr. Mujaddedi and the majority of Afghan parliamentarians now criticizing Pakistani policy do not have a history of close ties with India . They lived as refugees in Pakistan between 1979 and 1988 when the country served, with U.S. help, as the staging ground for the guerrilla war against the Soviet Union in Afghanistan . India , on the other hand, maintained cordial relations with the pro-Communist Kabul regime during that period. Pakistan ’s extensive hospitality for millions of Afghan refugees strained Pakistani society. But the Afghan Jihad was justified by Pakistan ’s establishment on grounds that it would create good will among Afghans and buy Pakistan influence across its northwestern border for years to come. How did Pakistan manage to lose the good will generated by its support of Afghan refugees and Mujahideen during their anti-Soviet struggle? The answer to this question can be found in the near-obsession of Pakistan ’s establishment with extending its influence into Afghanistan . Pakistan should have been content with having friends in power in Kabul after the fall of the pro-communist regime in 1992. Instead, Pakistan ’s intelligence community adopted the attitude of British officers of the 19th century when Britain and Russia competed for influence in Central Asia in the “Great Game” of espionage and proxy wars. Afghanistan ’s frontier with British India was drawn by a British civil servant, Sir Mortimer Durand, in 1893 and agreed upon by representatives of both governments. The border, named the Durand Line, intentionally divided Pashtun tribes living in the area, to prevent them from becoming a nuisance for the Raj. On their side of the frontier, the British created autonomous tribal agencies, controlled by British political officers with the help of tribal chieftains whose loyalty was ensured through regular subsidies. The British used force to put down sporadic uprisings in the tribal areas but generally left the tribes alone in return for stability along the frontier. Adjacent to the autonomous tribal agencies were the “settled” Pashtuns living in towns and villages under direct British rule. Here, too, the Pashtuns were divided between the Northwest Frontier province and Baluchistan . From Pakistan ’s perspective, this amounted to demanding the greater part of Pakistan ’s territory and was clearly unacceptable. The Afghan demand failed to generate international backing, and Afghanistan did not have the military means to force Pakistan ’s hand. Although India publicly did not support the Afghan claim, Pakistan ’s early leaders could not separate the Afghan questioning of Pakistani borders from their perception of an Indian grand design against Pakistan . They wanted to limit Indian influence in Afghanistan to prevent Pakistan from being “crushed by a sort of pincer movement” involving Afghanistan stirring the ethnic cauldron in Pakistan and India stepping in to undo the partition of the subcontinent. Pakistan ’s response was a forward policy of encouraging Afghan Islamists that would subordinate ethnic nationalism to Islamic religious sentiment. Pakistan ’s concern about the lack of depth in Pakistan ’s land defenses led to the Pakistani generals’ strategic belief about the fusion of the defense of Afghanistan and Pakistan . Pakistan ’s complicated role in Afghanistan beginning well before the Soviet invasion of 1979 and through the rise and fall of the Taliban can best be understood in light of this desire. Pakistan ’s position as the principal foreign player in Afghanistan following the Soviet withdrawal changed with the arrival of American and NATO forces in the aftermath of Al-Qaeda’s terrorist attacks in the United States on Sept. 11, 2001. Pakistan has recognized that changed situation, deferring a great deal to American concerns. But it has clearly not abandoned its long-term national objective of ensuring that the government in Kabul is subordinate to Pakistan ’s regional agenda. But Mr. Karzai and other Afghan nationalists remain unwilling to accept Pakistan ’s vision of Afghanistan as a subordinate state. Afghanistan maintains close ties with India and expects to pursue an independent foreign policy. Pakistan has offended Afghans in the past with attempting to dictate their policies and by positioning itself as a major player in a contemporary version of the Great Game. Now, however, it also runs the risk of upsetting the United States , which is militarily present in Afghanistan and has significant stakes in ensuring its stability. Since the beginning of 2005, casualties in Afghanistan have been rising. Some 84 American soldiers and 1,400 Afghans were killed last year, more than any year since the arrival of U.S. forces in 2001. The Taliban insurgency is weak and not yet as threatening as the challenge in Iraq . But Afghan insurgents are clearly getting arms, money and training. The Taliban are also recruiting new members and undertaking bolder attacks such as the one against Mr. Mujaddedi. 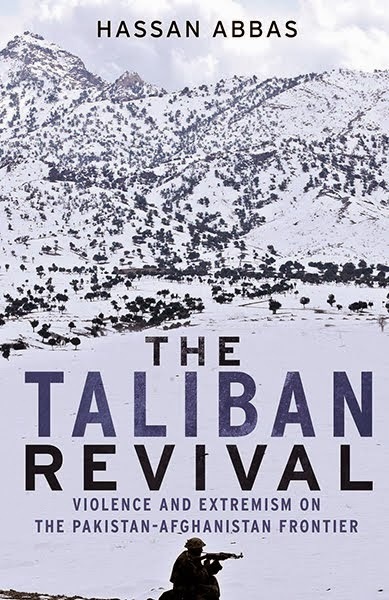 Intelligence-led covert operations invariably have unexpected consequences, often described as “blowback.” Pakistan and Afghanistan must defuse current tensions and build an open, diplomatic relationship in place of the Great Game legacy of intrigue and violence. A fence between Afghanistan and Pakistan is unrealistic, as is the complete separation of the two countries’ shared history. An American-brokered accord between Pakistan and Afghanistan to end the latent dispute over the Durand Line, coupled with international guarantees to end Pakistan ’s meddling in Afghanistan , might be the basis for durable peace and friendship between the two Muslim states. 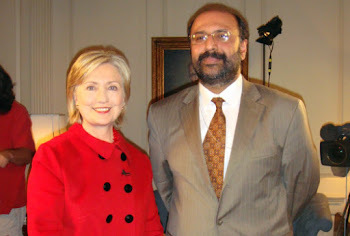 Husain Haqqani is director of Boston University ’s Center for International Relations, and author of Pakistan : Between Mosque and Military (Carnegie Endowment, 2005). Didn't know you'd been traveling!